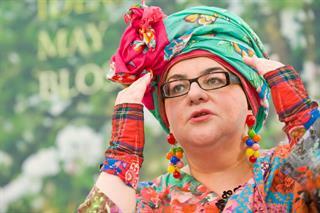 The Charity Commission is looking into claims that charitable funds were used to pay the private school fees for the daughter of Kids Company founder Camila Batmanghelidjh’s chauffeur. The regulator said its investigation into the children’s charity began after it was contacted last month by several former employees about alleged inappropriate spending, breaches of financial controls and concerns about the viability of Kids Company, which closed last week. The Mail on Sunday newspaper reported yesterday that thousands of pounds of the charity’s money had allegedly been spent on paying the boarding school costs of the teenage daughter of Jeton Cavolli, Batmanghelidjh’s driver. Cavolli’s daughter – who was reportedly registered as a client at Kids Company – attended Dauntsey’s School in Wiltshire, the newspaper said, where annual fees for boarders are £29,000, but she left last summer. Richard Handover, the school’s chairman of governors, is a vice-chair of Kids Company, the paper also reported. A source told the Mail on Sunday that Kids Company paid for a number of clients to attend fee-paying schools as part of its Child Poverty Busting Programme. Kids Company’s accounts for 2013 say that Dauntsey’s "gave a life-changing experience to a Kids Company child." But Batmanghelidjh told the newspaper that the charity had not paid Dauntsey’s fees and that the girl’s education had instead been covered by the school in the form of a bursary. A spokeswoman for the commission said in a statement that the regulator met several former employees of Kids Company on 16 July to discuss their concerns about the way the charity was being run. The concerns included "some specific allegations that the Mail on Sunday have outlined to us," she said. The commission notified the charity of the complaints the following day and met charity representatives several days later. "At that meeting we insisted on a number of steps being taken, including that, under the oversight of the commission, the charity instigates an immediate independent examination into the specific allegations made," the spokeswoman said. She continued: "The trustees fully cooperated with this, and had already prior to our engagement put in place changes to the governance, management of and existing financial controls within the charity." The commission said its "regulatory engagement" with the charity was continuing despite its closure. Meanwhile, the band Coldplay – whose lead singer Chris Martin has previously donated an estimated £10m to the charity – is reportedly in talks to save the charity’s Treehouse project, a "therapeutic educational unit" and referral centre for vulnerable children in north London. Coldplay’s charitable foundation, called JJ Van Mars, owns the centre’s building, having bought it for £1.6m in 2013, meaning that it will not be sold in any disposal of Kids Company’s assets, which may be needed to pay the charity’s creditors. The band has reportedly spoken to Treehouse’s management and other philan­thropists about a rescue. Other allegations about the charity continued to surface over the weekend. The Telegraph alleged that senior staff at Kids Company had turned a blind eye to the suspected theft of about £10,000 by a client because he was close to Batmanghelidjh. A psychotherapist who worked at Kids Company when the incident happened told the newspaper that it was indicative of the "chaos" at the charity. Batmanghelidjh told the paper that she was not aware of any theft but would investigate with the charity’s finance department.